4. Then on the left of the screen you will see various options. These are your search parameter options. 5. Firstly unless you want to search through everyone on your entire database you will need to specify what group (or groups) you want to search within. 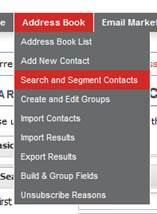 To do this, under Add Group Conditions, click on the dropdown and select the one or multiple groups you need. In this example we chose the Business News group. 6. 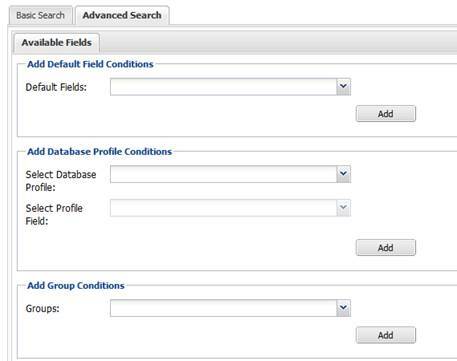 It will then get added to the left hand side “search conditions” area. 9. The results will be displayed with the fields requested. 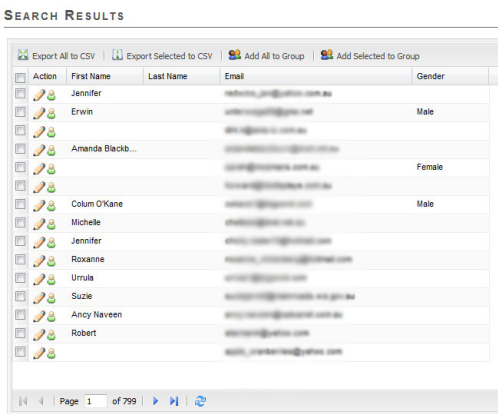 You then have the option to move all of these contact to a group or probably of more use to you – download to a CSV – from there you can sort the Gender column and get the stats you need.